St Cuthbert's Way - Yetholm to Wooler. This section is 21 kilometres in length and has a maximum ascent of 600 metres. 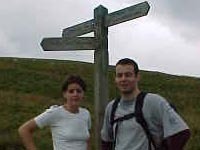 The route is mainly off road, the first 2 miles in Scotland before crossing into the Northumberland National Park. This section has no points on route where refreshments can be bought and is more open, so prepare well for the walk. Although well signed a good map and compass are essential to guide you over the Northumberland National Park and to assist in pointing out the many hills that will be seen on the way. 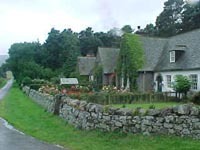 Leave from the village green at Kirk Yetholm and climb up the narrow road. 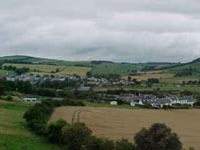 You can look back over the Bowmont Water and valley to see the twin towns of Kirk and Town Yetholm. The route now takes to the hill paths and climbs round the south face of Green Hambleton. 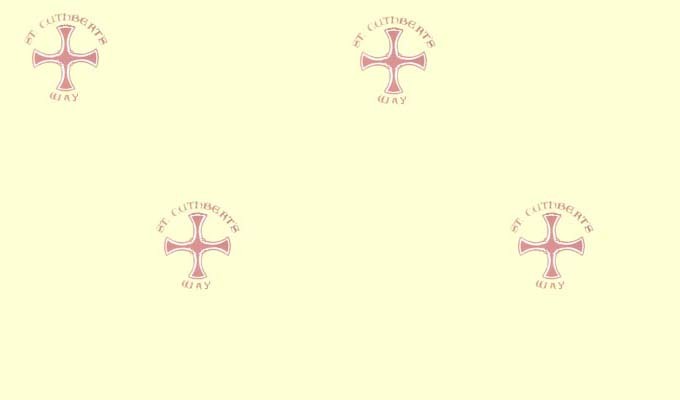 It is not far before the St Cuthbert's Way separates from the Pennine and E2 walking routes. At this point you have nearly completed the first of two ascents on this section. Having just passed the stile at the Scotland- England border the pathway slowly descends towards the Elsdon Burn and the remote farm steading. Eccles Cairn is to the left and for those wanting another view over the Scottish Lowlands a short diversion is appropriate. From Elsdonburn farm the walk is along a metal road running alongside the Elsdon Burn. You are sure to have company from the local livestock grazing next to the roadway. The walk shortly reaches Hethpool, the only community you will pass on this section of the walk. The community has some 1920's cottages designed by Robert Mauchlin. 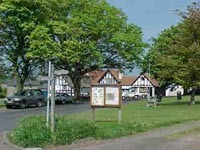 This is also the location of the "Collingwood Oaks", a group of trees on Hethpool Bell which were planted by Admiral Lord Collingwood, Nelson's second in command. The route leaves Hethpool climbing slightly through woods towards Hethpool Linn where to the left there are waterfalls that make a worthwhile detour. From the Linn there is a slow climb past a small holding at Torleehouse before you turn to the right and head SE up a steep incline between Yeavering Bell and Easter Tor. 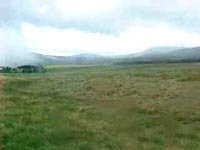 Yeavering Bell (1182ft) is Northumberland's largest ancient hillfort site. 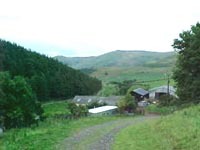 The surrounding area of Yeavering traces is history back to around St Cuthbert's time when Paulinus was said to have brought Christianity to the community. 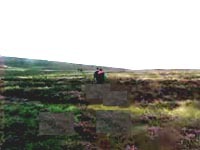 The climb reaches its top near to Tom Tallon's Crag and there then follows high level moorland walking towards Gains Law. 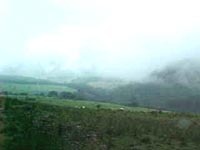 This section is the most exposed and sometimes the view of the rounded Cheviot hills may be lost in cloud. 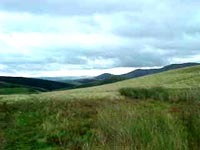 The descent into Wooler becomes pronounced near to Wooler Common and the Humbleton Burn. 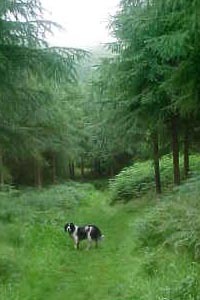 The walk takes you through the Common and back into the forest that forms part of a local nature trail. The days walk is nearing its end with a final road section decending through housing into the centre of Wooler a small market town for the Glendale area. There are many hotels and B&B to rest at and a significant number of shops to visit.